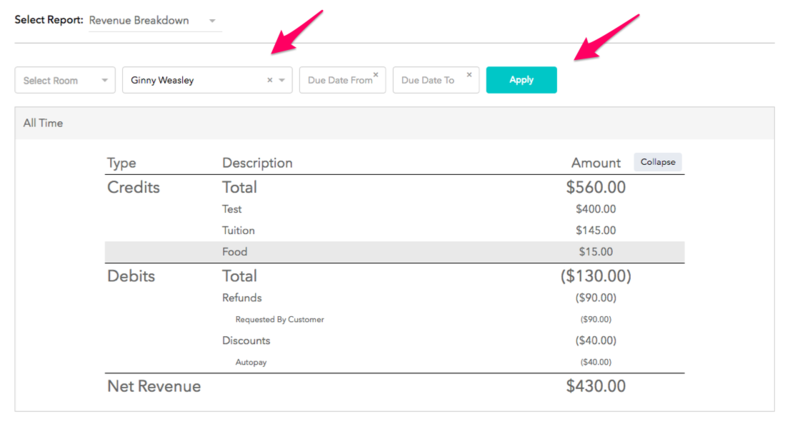 The Best Way to Manage Your Revenue Data by Room, Student, or Date! You now have the option to run a Revenue Report to manage your income and debits right from the billing dashboard. 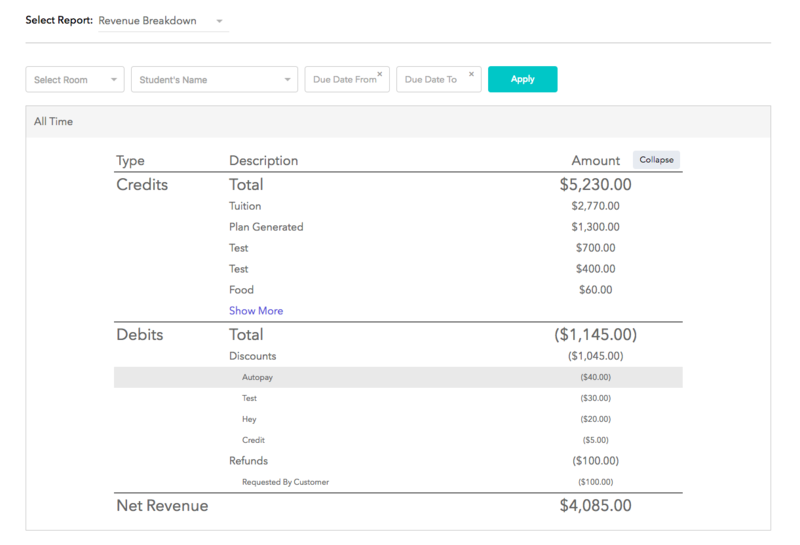 Use this report to track revenue by student or classroom to asses the profitability of each aspect of your business. You can also track by date to plan your future revenue by week, month, or year. This report also gives you the ability to track your subsidy and discount debits. You will see a general summary of all credits and debits processed on brightwheel. You can then select Expand to see further detail of your overall billing information. In this expansion you will see that you have totals for each revenue type as well as each discount type. For example, you can track your total revenue for "Food" or the total amount debited for subsidies. You can then filter by classroom, student or date and select Apply. If you want to print this information or save it as a PDF you can do so by right clicking on the report and selecting Print or Print to PDF. Looking for a Deposit Report or to export a CSV of all invoices?